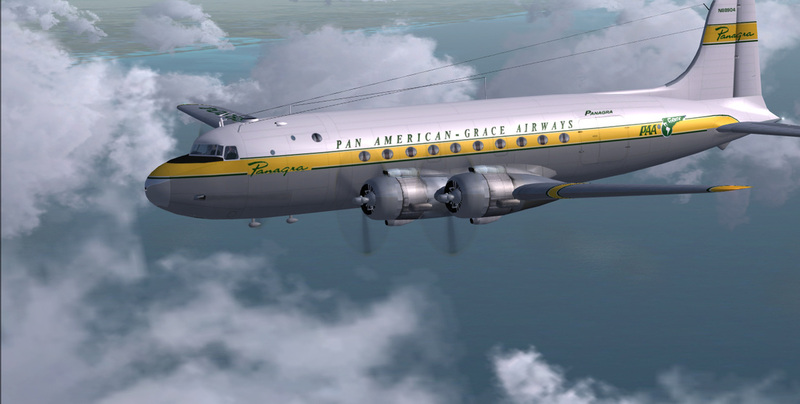 DC4 Pan American Grace Airways (Panagra) circa 1958-1959. 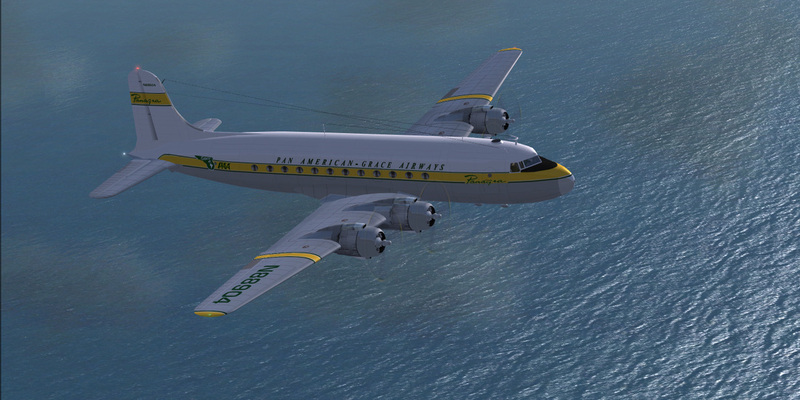 CN#18391 was built for the USAF as a C-54B-15-DO in 1944. 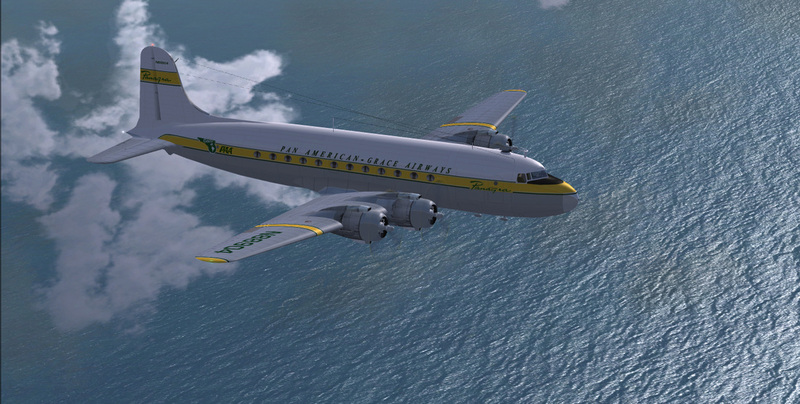 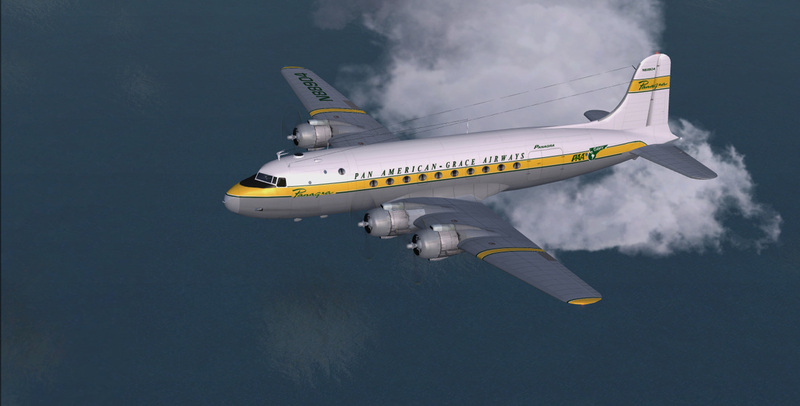 Converted for airline use to DC4 standards, Panagra aquired the aircraft in 1948.